When someone you know or is related to experiences a death of a loved one, you might want to let that person know that you are thinking of him or her. 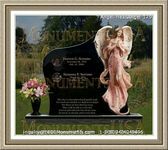 Rather than select an impersonal greeting card, you may wish to send along condolences that you selected or composed specifically for that individual. 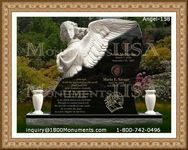 As you consider the availability of sympathy quotes, you might fare well to remember some suggestions. You might also wish to send religious sentiments that will give the recipient hope. If your friend or loved one is religious, a quote that expresses a prayer or a passage from the Bible may be appropriate. You might even look in religious texts to select a passage that is right for the occasion. 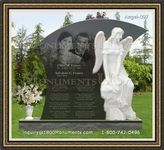 Many people know that funerals and deaths are no time to express humor. Your relative or acquaintance may take great offense if you joke or make puns about the death. Even if you are trying to lighten the mood, this attempt might be ill received. Likewise, it could be advisable to avoid any mentioning of how the deceased passed. Bringing up details of the death or reminding the recipient of the circumstances could bring unwelcome emotions. Keeping this tact in mind could serve you well. If you want to find suitable words of condolences to convey to someone, you might wish to keep some tips in mind. These reminders might guide you into choosing sentiments that are well received and appreciated. Your quotes may have be remembered for years.